With a Ph.D in Engineering and government backing for purification facilities, Kang Jihoon was able to found a company that sold air purifiers. However, this startup company went bankrupt within two years of its establishment in 2005. The Chief Executive Officer(CEO) Kang stated, Because I had a good product to offer, my business seemed like a good idea at first However, resolving shareholder disputes, and managing the funds and the revenue were much more challenging than I had anticipated.” His misconception is common among many people in college; that with just a good product idea, startup companies can be created and be successful. However, a young adult in his or her 20s or 30s starting a business with nothing but a creative product will find that there is much more required to a successful business. This misconception about startup companies being based just on a product idea commonly comes from startup companies themselves. People are mostly exposed to successful business stories and not the failed ones. These successful startup companies are not given attention because of the sound financial decisions rendered or the well-made business plans developed, but rather because of their creative products. Jung Yongeun, the CEO of Wispsoft who is a Junior at the Department of Computer Science and Engineering at Hanyang University(HYU) said, “People tend to think that ideas are the most important aspect for a startup company because ideas are things anyone can conceive and understand. Meanwhile, other elements such as business plans and technology are less approachable, which is why they receive less attention.” So when hearing about a successful startup company, people often fail to look beyond the product ideas. For example, when people think of Facebook, people rarely think or are aware of the internal problems such as numerous law suits, cyber security and public criticism. Instead, they see a company that started out as a website from hacked computer servers at a university, which turned into an extremely successful social networking business. According to a survey conducted by JobKorea targeting working people above 20 years of age, 40 percent said they had attempted to start a business. However, the success rates were extremely low due to struggles managing the companies. The figures are 6.4 percent, 12.8 percent and 9 percent for people in their 20s, 30s, and 40s respectively. Also, according to those who had been unsuccessful in their businesses, the most common reasons stated for their failures were inexperience in business management(63.3 percent), poor marketing and promotion(44.4 percent), and insufficient funding(38 percent). While creative ideas are necessary for funding a company, when it comes to keeping a business going, business management, marketing and promotion are the priorities. developing winter products, her company might have survived. But even with such a creative product, lacking the simplest marketing skills led her business to ruins. Blindly venturing into the startup business market with nothing but an idea should be avoided. Fortunately, there are various guidance resources that anyone can access in order to gain the necessary skills and knowledge to maintain a business. The Seoul Youth Business Incubation Center provides support for young startup companies, helping them in their early stages of development. This support system includes a mentor program where one can receive advice from more experienced CEOs as well as a business consulting service. There are also educational programs on business management and business simulations through which participants can gain real working experience. Aside from governmental support, some companies are actively backing startup companies as well. 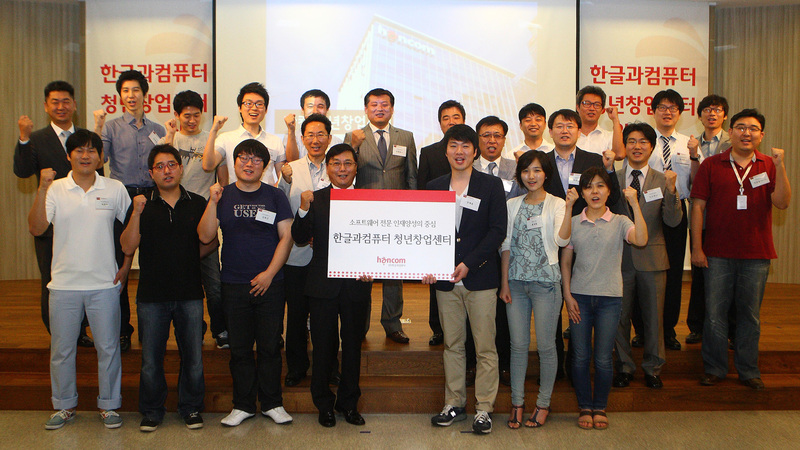 On October 30, the social commerce firm WeMakePrice signed a Memorandum of Understanding(MOU) with the Seoul Business Agency in order to support startup businesses for young people. Their goal is not only to provide support on product sales and marketing, but also to build an economic environment where startup businesses can thrive. They are also planning on reinvesting two percent of their revenue to supporting new companies. Students planning to start their own companies can also look to their universities for help. The HYU Global Entrepreneurship Center and Startup Incubation Center help students with good product ideas prepare for a startup business. They provide lectures, training programs and work space for students starting a business. Professor Ryoo said, “Startup businesses do have positive effects such as helping to boost the economy, raising employment, and venturing into new markets. However, startup companies should not be solely based on product ideas. They should be grounded on solid management and sound marketing skills.” Before a young CEO builds a startup company, he or she must discard unrealistic goals and realistically see that the idea is one of many factors needed to make a business successful.